Prepare a solid work surface. The child must have ample elbow room. Sit in front of the child, on the other side of the table. Explain the process of cutting in age appropriate terminology. Toddler safety explanations should include serious admonitions against walking or running with scissors, cutting anything other than the paper, pointing them at someone else, or using them without adult supervision. Teach paper handling. 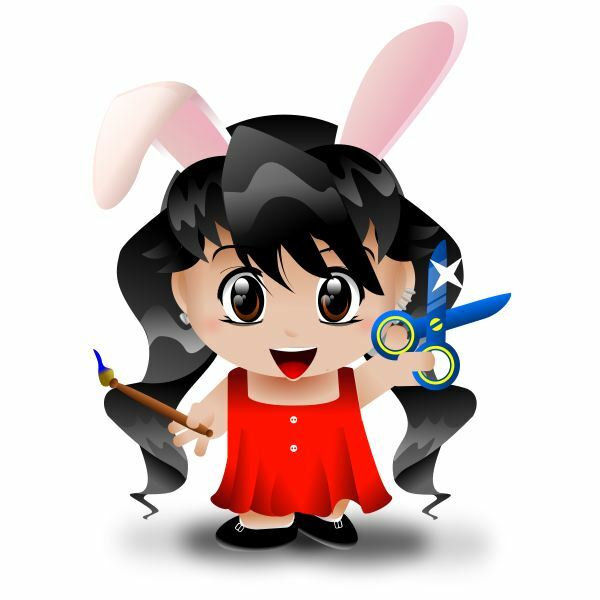 Scissor safety for toddler aged children also includes instruction on proper handling, holding of the scissors, and cutting a straight line. Make a dotted line on paper and encourage your child to align the scissors with it. You may want to hold the paper with both hands and keep it nice and taut so that the cutting goes rather easily. Help the child to pace herself by setting a rhythm. Expand on this lesson by showing your child how to hold the paper with one hand and cutting with the other. Start off with small pieces of paper that are easy to manage with one hand. Ensure good practices from early beginnings. Discourage the natural instinct to hold the scissors with both hands and place the paper on the table. This does not support the motor skills required to cut. After the initial discussion and demonstration, you are ready to begin. Try drawing a straight or dotted line with a black marker and have your toddler try to follow it. Once this has been mastered, advance to a curved line. From there, you can incorporate recognized shapes as well as free-form designs. The opportunities for practice are endless. Remember, proper tools are important! You may wish to begin these safe toddler activities with safety scissors. From there, you may wish to graduate to the blunt tip model and eventually the pointed tip variety. While you could buy the cheap ones from the dollar store, it is advisable to invest just a bit more money in more durable models that are easy to hold and operate for little hands, and which allow for operation for right handed children as well as lefties. Pick some that are designed with some pizazz, such as Melissa & Doug’s sparkle safety scissors. Keep in mind that an important part of scissor safety for a toddler also means being watchful for when the child is getting fatigued. You know from experience that cutting is a tiring exercise; how much more so for a small child? When fingers are tired, they may not operate as well as they could, and it is therefore important to carefully time these exercises and stop before the child actually becomes too tired.